Belmont to Traverse the Country in Upcoming US Tour – Ouch That Hertz! 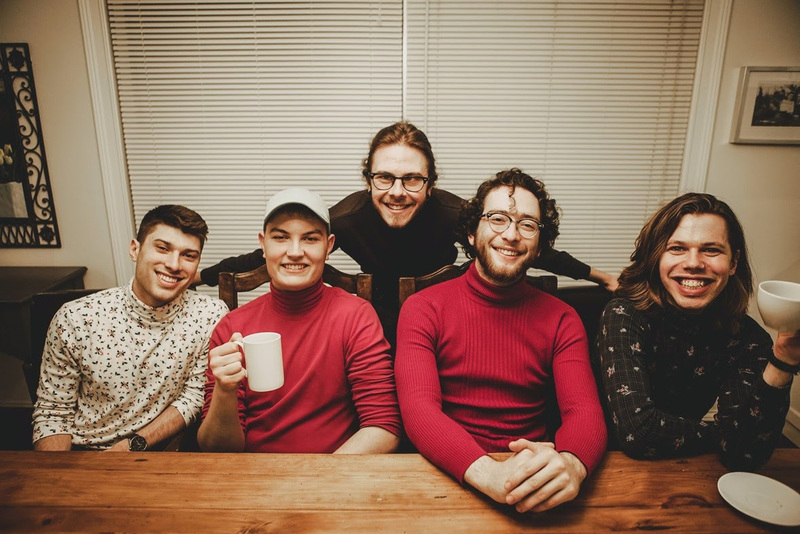 (July 12th, 2018) – Chicago, IL’s Pop-punk mountain movers in Belmont have formally announced a full US tour, set to kick off on August 11th at Suziepalooza in Deer Park, NY. The tour, which runs just over a full month, is in support of their highly-anticipated upcoming debut self-titled full length record that releases on August 17th via Mutant League Records. 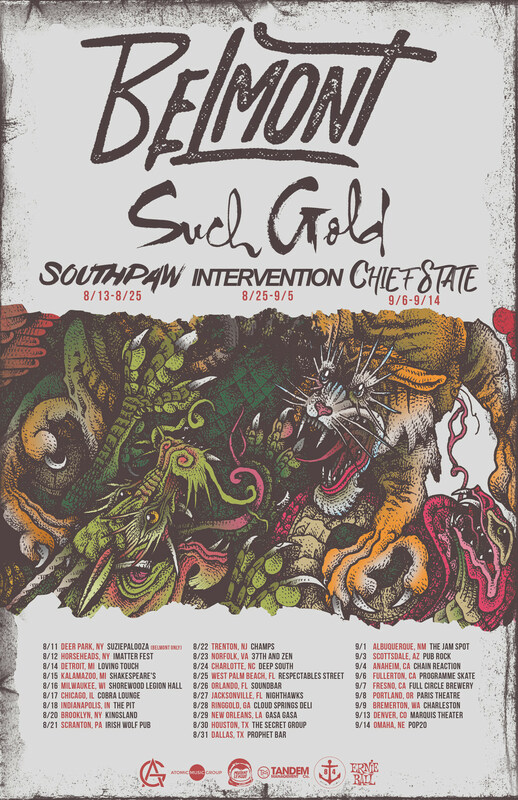 The month-long run of the States will feature direct support from Such Gold (all dates), plus Southpaw (8/13-8/25), Intervention (8/25-9/5), and Chief State (9/6-9/14). Tickets and related tour information can all be found here; a comprehensive list of dates may be found in the graphic below. Indeed, such growth and achievement has already been sampled out to the public with the release of their single, “Hollowed Out,” a punchy track built on compounded emotion and melodic harmonies. Prowess in this regard is no stranger to Belmont, with high accolades magnified in stream counts as well as adoration from various publications. It’s no small wonder as to why Rock Sound hails Belmont as “quite possibly the next great pop-punk band.” Belmont spent the better part of the last two years racking up miles and amassing fans through constant touring with the likes of Have Mercy, Hot Mulligan, Capstan and more in support of their previous release “Between You & Me”. The EP was celebrated by fans and critics alike, gaining millions of streams & views across digital music platforms. Such hot anticipation and ravenous consumption of their artistic form is expected to be just as satiated by the upcoming Belmont LP. 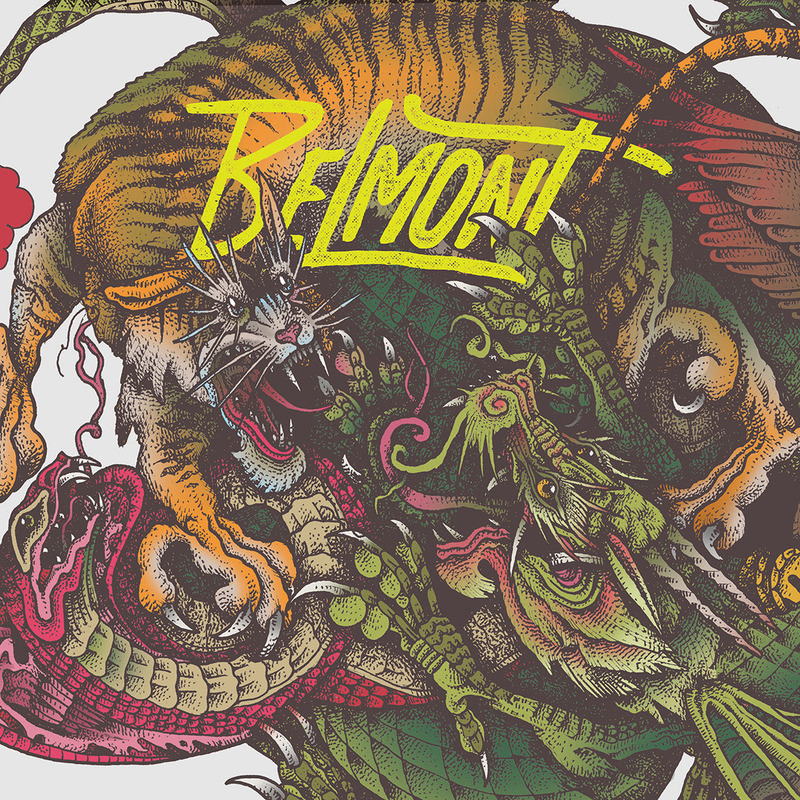 Belmont was mixed and mastered by Dan Korneff (Breaking Benjamin, Paramore) and engineered by Jason Inguagiato at Graphic Nature Studio. Belmont is now on tour with Rarity and Stickup Kid through July 20, which will be followed by an appearance at iMatter Fest in Horseheads, NY alongside Underoath and August Burns Red.